When there is an increase in voltage in an electrical circuit, or a power surge, a surge protector redirects the excess energy away from connected devices. This guide explains how to choose a surge protector, so you can feel confident in choosing the right level of protection for your needs. Safety: Before installing a whole-house surge protector, read and observe the manufacturer’s instructions and adhere to all recommended safety precautions. Codes and regulations vary greatly, so ensure the project complies with applicable local codes and regulations. If you have any doubts, consult local experts or authorities. You have options for surge protection. They include a whole-house surge protector, surge protector strips, battery backup or a wall-mount surge protector. Most surge protectors use MOVs, a type of variable resistor. MOVs are resistant to low-voltage current, so during normal operation they won’t conduct electricity, allowing the current to pass directly to the connected device. When exposed to higher voltage, the resistance in the MOV drops, and it begins to direct current away from connected devices. Surges wear MOVs out, so over time a MOV surge protector will lose its protection abilities. Tip: Communication and data cables can also carry surges. For complete protection, look for a surge protector that includes inputs and outputs for each type of power or communications line leading to your electronic devices. In an online UPS design, connected devices run off the battery at all times. The power from the electrical outlet continually charges the battery, rather than powering devices directly, which further isolates the devices from surges. 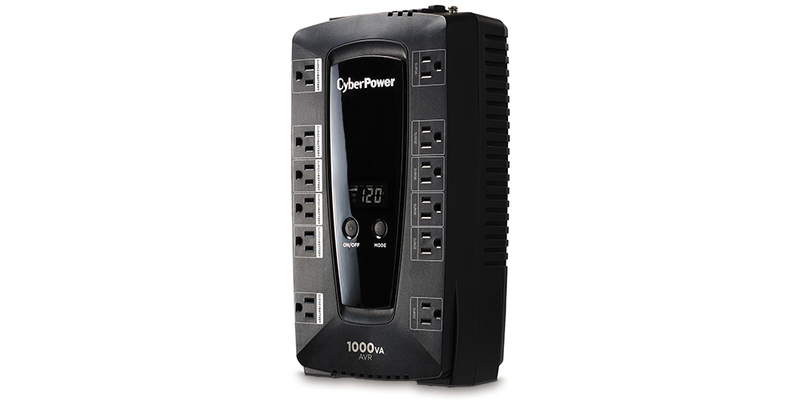 Evaluate surge protectors by comparing their performance ratings, measured in VPR, SVR, and joules of response time. UL 1449 Voltage Protection Rating (VPR) is a measure of the surge protector’s let-through voltage, which is the maximum voltage a surge protector will let through to connected devices. The lower the VPR number, the better the protection. UL 1449 Suppressed Voltage Rating (SVR) is an earlier measure of let-through voltage based on a test using 500-amp current. You may see this rating on some surge protectors, instead of the newer VPR rating. When comparing SVR to SVR, a lower number usually indicates better protection. The lowest possible SVR rating is 330 volts. Joule rating is the total amount of energy a surge protector is capable of absorbing over time. A higher joule rating may indicate a longer product lifespan. Look for a joule rating above 600. 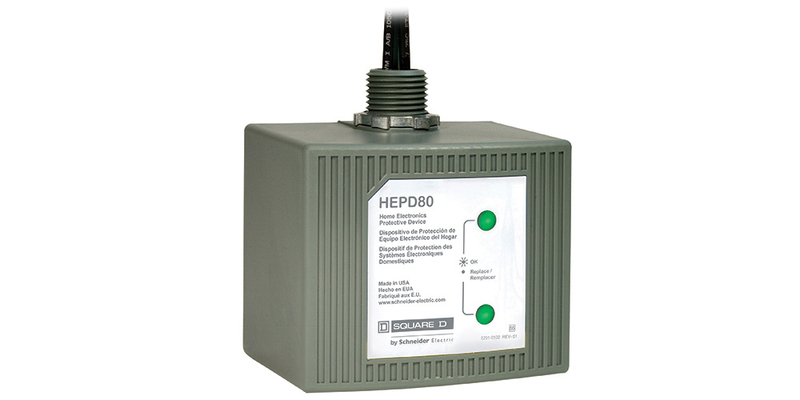 Response time measures how quickly the surge protector reacts to a surge, measured in nanoseconds. The faster the response time, the better the protection. One nanosecond or less is ideal. When you plug certain electronic devices directly into a wall outlet, they never really turn off, but rather enter standby mode and continue to drain energy. But if you plug these devices into a surge protector and switch the unit off, the connected devices will not use any power. 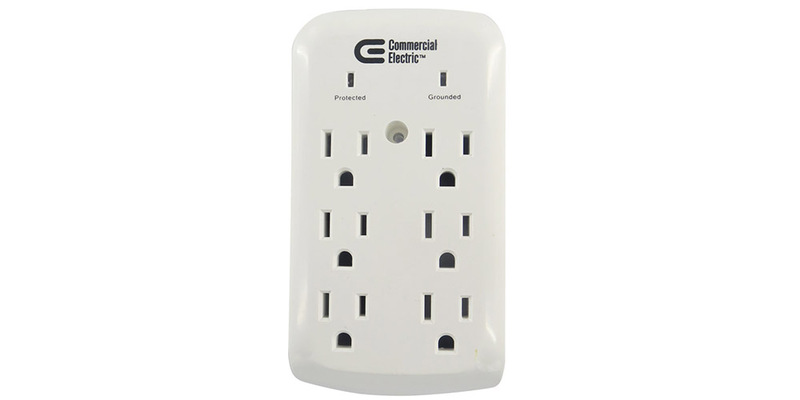 Some surge protectors and power strips include features that make saving energy even easier by cutting power to connected devices automatically when the devices enter standby mode or are not in use. Load-sensing plugs can detect the characteristic voltage drop that indicates a connected device has entered standby mode. As soon as this drop happens, the plug automatically cuts the power, so the device is truly off. An energy-saving surge protector might include some load-sensing plugs and some ordinary “always-on” plugs for devices you don’t want to turn off automatically. Master/power save plugs are a variation on the load-sensing system. In this design, one “master” smart plug controls other “power save” plugs. When the master plug detects the device connected to it has entered standby mode, it cuts off power to that device as well as the devices connected to the power save plugs. For example, if you connected a TV to the master plug and connected other home theater equipment to the power save plugs, you would cut power to all devices at once just by switching off the TV. Remote control surge protectors come with a wireless switch that turns select plugs on and off. You can position the switch on a wall so that turning off devices connected to the surge protector is as easy as switching off an overhead light. This is especially useful when a surge protector is in a hard-to-reach spot. Occupancy sensing units cut power to certain plugs when a sensor detects lack of nearby motion. Timer surge protectors and power strips turn on and off at particular times of day. Personalize your needs by selecting surge protectors that have features such as GFCI protection, safety covers and automatic warnings. Warranties: Coverage of surge damage to any device connected to the surge protector. Check the warranty to see what it covers. Automatic warning devices: Lights or alarms to alert you when a surge protector needs to be replaced. Surge protection elements wear out over time, but it’s not always obvious when you need to get a replacement because the unit may continue to provide power to connected devices. 3-line protection: Protection of all three lines — hot, neutral and ground — in an electrical circuit. Because surges can occur on any line, 3-line-protection, also called all-mode protection, is necessary for full protection. Power shut down protection: An automatic shut-off system that cuts the power to a power strip’s outlets when the surge protection elements reach their capacity. This is useful because a massive surge may wear out the protection elements quickly, leaving connected devices vulnerable to additional surges before you realize you need to replace the unit. Resettable circuit breaker: An added built-in safety measure that acts like the resettable breakers in an electrical panel. 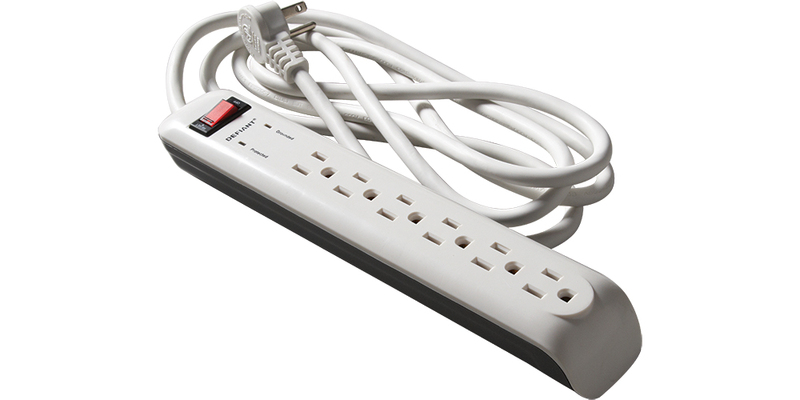 The circuit breaker shuts off a surge protector power strip during a sustained power overload, to protect both connected devices and the surge protector itself. GFCI protection: A system that automatically shuts off power when it detects a short circuit, reducing the risk of electrical fire. Line conditioner: A system that continually adjusts the electrical current coming from an outlet to smooth out relatively minor irregular fluctuations in addition to actual surges. Metal case: Can better withstand damage and heat. Cord fire protection: A system that automatically cuts power when a sensor detects damage to the wire insulation. Safety covers: Plastic covers that block plugs when not in use. Concealed design: A surge protector that includes a cover that hides cords and plugs, for a cleaner look.